Mouthguards aren’t just for football players anymore. Once athletes took notice of the great results a mouthguard will afford their teeth, more and more started to wear them – even in sports like gymnastics where they aren’t required. 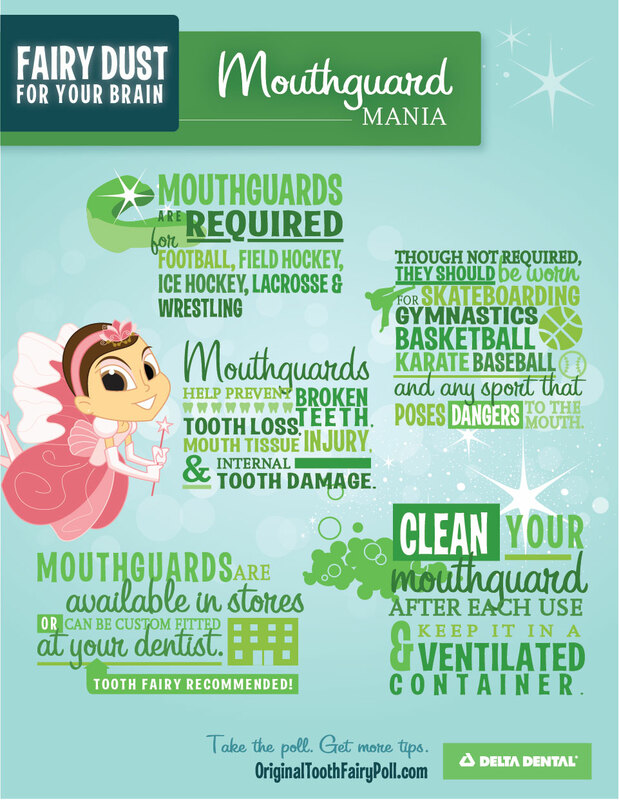 The image above lists a few of the most important reasons a mouthguard should be a part of your uniform and where you can buy one.